Born on 01-10-1965 at village – Bhagwatpura, Jobner, Jaipur, Dr. Kumhar obtained his Ph. D., M. Sc. and B. Sc. (Ag.) degree from SKRAU, Bikaner. 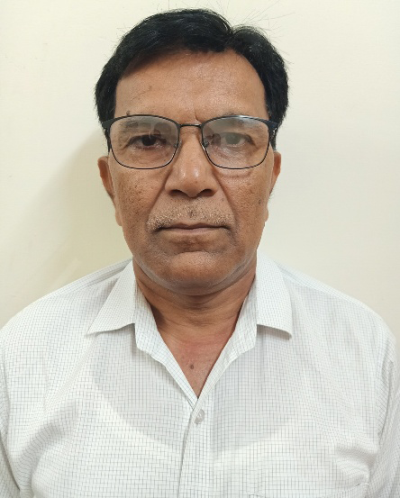 He started his career as Assistant Professor in 1996 from ARS, Umedganj Kota, then promoted as Associated Professor in 2008 and Professor in 2012. He has worked on breeding work of soybean, linseed, pearl millet, isabgol and sesame and actively involved in development of varieties viz., RL 914 and RLU 6 of linseed, RI 1 of isabgol, MBC 2 of pearl millet and RT 346 and RT 351 of sesame. Presently he is holding the post of ZDR, ARS, Mandor in addition to ADR (Seeds) of AU, Jodhpur. He has published more than 50 research papers, booklets, popular articles and book chapters and he is member of prestigious scientific societies in India. He is also Professor Member of Board of Management of AU, Jodhpur for two years (2016-18).